Legendary Carnatic Musician and Composer Mangalampalli Balamuralikrishna passed away at his residence in Chennai here on Tuesday. He was 86. Mangalampalli Balamurali Krishna (6 July 1930 to 22 November 2016) is an Indian Carnatic vocalist, multi-instrumentalist, playback singer, composer and actor. Mangalampalli was awarded Padma Shri, Padma Bhushan and Padma Vibhushan for his contribution towards Indian Art. He was made Chevalier of the Ordre des Arts et des Lettres by the French Government in 2005. 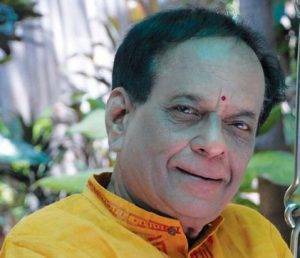 Global Hindu Heritage Foundation (GHHF) & Savetemples.org, Aalayavani Web Radio deeply condemned the demise of Mangalampalli Balamuralikrishna and passed condolences to his family. He will always be remembered.